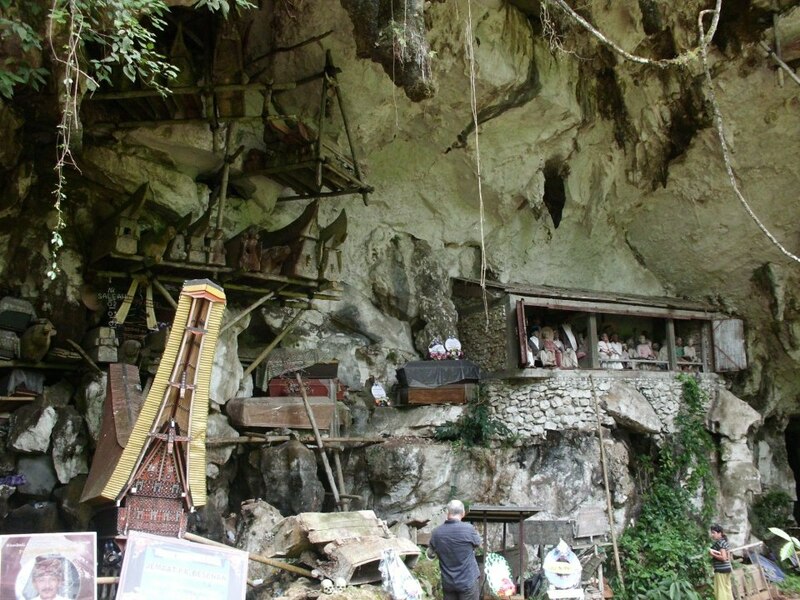 This is Londa, a natural cave, the burial ground for Tana Toraja ancestors. Located in Tana Toraja, South Sulawesi, Indonesia. 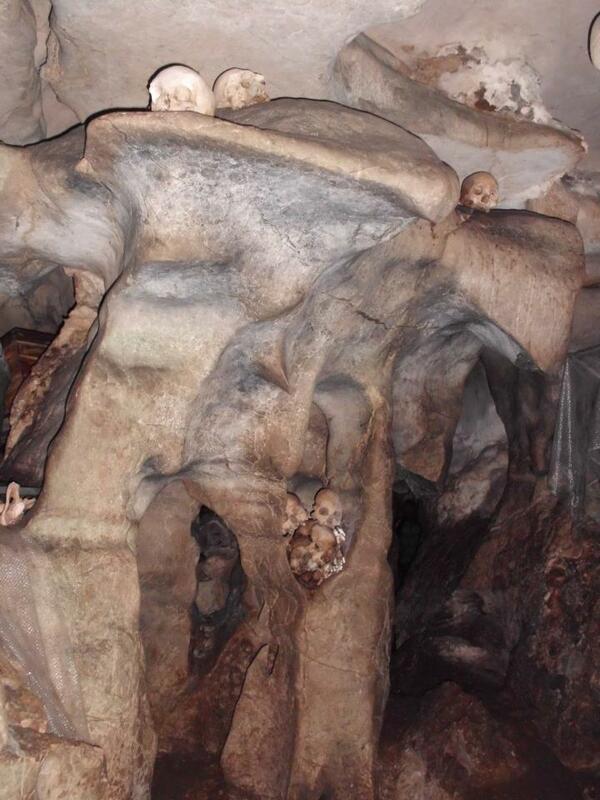 There are steep rocks and inside there are caves to store corpses and coffins. In this room very low light, so you should bring a flashlight and hire a tour guide. You might feel a little scared, because there are a lot of coffins and human bones. When entering the cave, you will see a coffin hung above the cliffs. 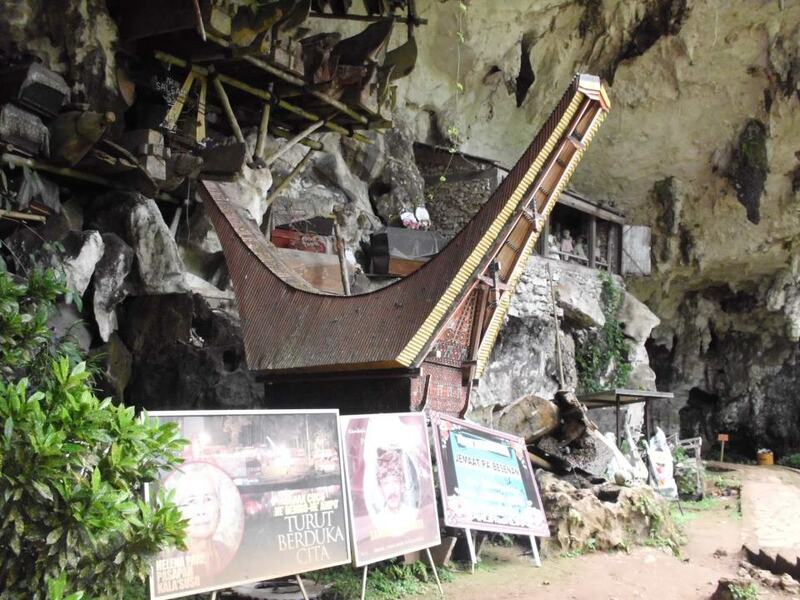 For the Toraja, if a coffin hung on high, then they will be higher degree. It is said that when the ancients died, they (the dead) must walk alone to the cemetery, with the help of a shaman. Near a coffin hung, you will see the “Tau-tau” is a sculpture resembling the deceased. Typically, the Toraja must slaughtered four buffaloes and two pigs to be made “Tau-tau” for the dead. 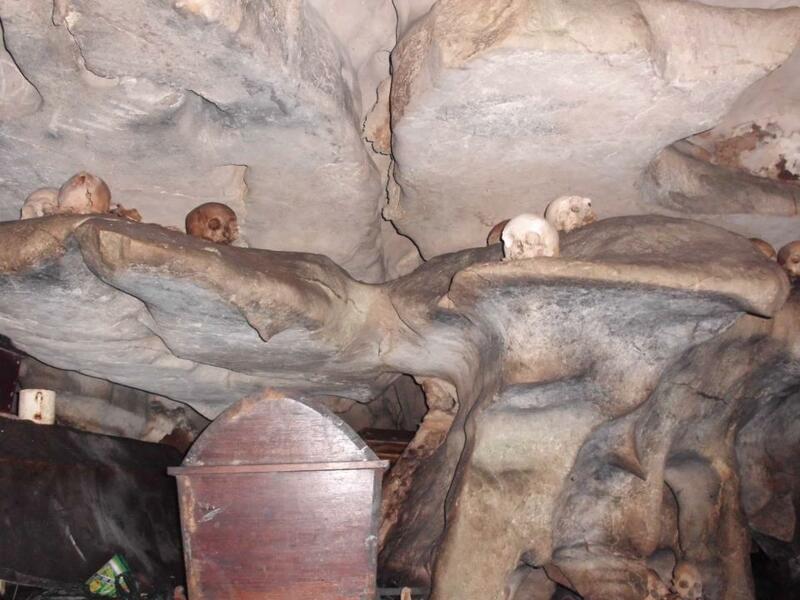 Upon entering the cave, you will see a coffin placed on a cave wall, or placed on the sidelines of the cave. You’ll also see a lot of skulls and bones scattered, because coffin was damaged. They were buried in the cave, usually only for one family only. In addition, you will see offerings such as flowers, incense, and smoking in the coffin. For more Unique images go to the Daily Post. Guau….It is the first time I see something like this!!!Unique!!! And thanks a lot for the explanations!